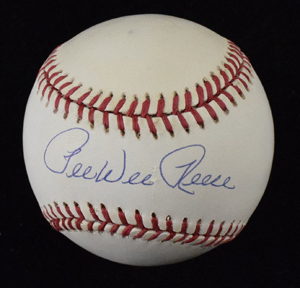 Pee Wee Reese Signed Rawlings Official National League Baseball (W.White). Ball is lightly toned. Includes COA from Hunt Auctions.